In the wake of recent Iowa and New Hampshire presidential primaries, Americans of all political stripes are wondering what their country will look like after George W. Bush’s two-term presidential reign ends on January 20, 2009. Lest we’ve forgotten, Bush’s 2004 victory was due in large part to his appeal among white evangelical Christians — a demographic that represented almost one in four voters. According to a 2006 Pew Research Center report, two-thirds of Americans consider the U.S. a “Christian nation”; almost a third think the Bible “should be more important” than American law. Among current presidential candidates, Republican Rudy Giuliani and Democrat Hillary Clinton score the highest marks among “key religious constituencies” in their respective parties. Interestingly, Democratic candidates have so far received a slender majority of faith-based campaign bucks, as they did in 2004. As of October 2007, all campaign-cycle contributions from religion-oriented political action committees and individuals surpassed $600,000. In Vermont, religion doesn’t play as significant a role in politics as it does in other parts of the country, but that doesn’t mean we’re faith free. Though Vermont was the first state government to separate church and state, back in 1807, it also hosted a heap of religious revivals during the “Second Great Awakening” of the early 19th century. Two hundred years later, the Green Mountains are still home to plenty of believers, including some mindful atheists. New England religion has always had a DIY aspect — new churches and sects could and did sprout everywhere. And they still do. In the following, er, trinity of vignettes, Seven Days visits Sunday services at three of our smaller, edgier Burlington-area churches — each service counted fewer than 30 attendees. Though these politically diverse houses of worship operate with various degrees of accreditation, proselytizing zeal and fiscal solvency, they all fly well below the mainstream-religion radar. Despite modest turn-outs, they all radiate flickers of old-time religious enthusiasm — suggesting that, to some flocks, at least, these United States have seen brighter days. On wintry Sundays in Essex Junction, dozens of elegant black coats and white dresses dot the lawn of the brick First Congregational Church. That denomination has claimed most of Vermont’s Christian faithful for more than two centuries. But since 2004, a vinyl-sided rival across the street has been attracting its own squad of adherents. Welcome to Unity Church of Vermont. A Missouri woman founded the sect with her husband in the 1890s after being miraculously cured of tuberculosis. Now the Association of Unity Churches International boasts about 1000 churches, a CEO and an annual budget of $4 million. Though affiliated with that international group, Vermont’s 25-year-old Unity branch is independently run. Hence, the church doesn’t have any financial cushion courtesy of national bigwigs — its annual budget of $45,000 to $60,000 comes from local donations. Unity of Vermont bounced around for a while between private residences and Burlington’s Fletcher Free Library in the 1980s and ’90s before taking out a mortgage on this Essex Junction space in 2004. 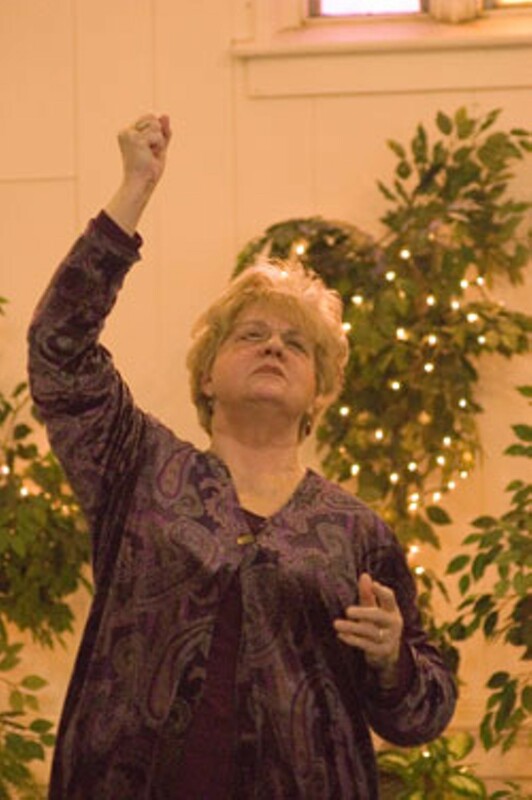 Unity Reverend Lane Williams is an energetic middle-aged woman who recently moved here from outside Kansas City, Missouri. Today, she’s attired in a shimmery turquoise blouse and Southwestern-style jewelry. The reverend, a graduate of the Missouri-based Unity School of Christianity, explains that Unity’s current Vermont quarters were built in the 1870s — for Methodists. “Aw, jeez, where’s my camel?” asks Williams, one of three “wise guys” — as in the wise men who brought gifts to baby J.C.
“We left it at Smugglers’ Notch, in the snow,” a fellow actor replies. “So that’s why my feet hurt!” jokes a third. A strong connection between social justice and religious piety has long been a mainstay of the Unity mission. That’s the word from Mary Benoit, a former Vermonter visiting from her current Florida home. Benoit, 59, joined the church in the early 1980s, when it was still meeting at Fletcher Free Library. Even then, she recalls, Unity was doing its part to promote a “flowing notion of prosperity” by sponsoring free neighborhood tag sales. “Brownie-cheesecake bars!” announces a slender fellow with a salt-and-pepper goatee — as it turns out, a former Methodist who joined this congregation last month. “I individually wrapped them,” he points out. Other congregants hover around the coffee maker. “You know, the abundance is all around us,” Benoit insists, filling her cup. “Take what you need, give away what you don’t, and whatever you need will be available to you.” These days, Unity donates regularly to the Joint Urban Ministry Project (JUMP), a Burlington-based charity. Perhaps no one has absorbed the Unity mantra better than 82-year-old Mal Chamberlain. As Benoit and Parauka step outside into a balmy winter afternoon, he remains seated at a plastic table. The “has-been chemist,” wearing brown corduroys and thick-rimmed glasses, was “born and raised” Episcopal but lost faith while attending MIT. When Pastor Paul Lyon moved to Vermont in the summer of 2001, he was a bit hesitant. No wonder: Before coming north, the former Navy commander turned General Dynamics contractor had lived mainly in the South and Midwest. In contrast to the Bible Belt, which boasts a “preponderance” of Pentecostal churches, Vermont only had four. Now Lyon, 56, has been preaching here for over six years. In addition to giving “ad hoc” sermons at the established United Pentecostal Church (UPC) on Route 15 in Jericho, he has also founded a Burlington UPC chapter. Whereas Jericho welcomes between 60 and 90 congregants, Lyon says, his congregation gets 35 — on good days. Early gatherings of this church were held in Lyon’s garage, then at the Church of the Nazarene in Williston. Not surprisingly, these past six years have seen challenges of “commitment” among congregation members, not to mention financial hardship. Burlington’s UPC congregation has received assistance from UPC’s headquarter organization, Lyon’s former church in Maryland, the Jericho UPC church, individual donors and, yes, the pastor’s own pockets. Troubles aside, UPC’s future in Burlington looks bright — literally. A few months ago, Lyon’s B-town crew moved to a sunny room on North Winooski Avenue downstairs from CCTV television studios. The space itself feels, if not Southern, a little beachy: Monstrous tropical plants obscure the windows, and tapestries hang on the walls. With Lyon standing behind the pulpit, the place calls to mind a missionary bungalow in the South Pacific, circa 1970. By 10:05 a.m. on a recent Sunday, Lyon is churning out the gospel in his stately Southern accent. With a small American flag pinned on his gray blazer, he could be addressing an airport hangar full of Navy reservists. Before him, instead, sit 11 patient disciples — including three of his four kids. Lyon’s presence in Burlington reflects the Pentecostal Church’s evangelical mission. “Even with all of the turmoil goin’ on in Pakistan,” he later says, referring to the assassination of former Prime Minister Benazir Bhutto, “there was [sic] three consecutive crusades recently conducted there, with 2250 people receiving the Holy Ghost.” His data comes from “Focal Points,” the January 2008 newsletter of UPC International. “This does not get front-page press, as we so well know,” Lyon laments. Despite the Church’s global aspirations, today’s service remains locally oriented. Lyon frequently riffs on the word “community,” for instance. Fifteen minutes into his talk, he stops to ask, “Who here knows the name of your next-door neighbor?” After that, the pastor encourages public prayer. Debbie Titus of Ferrisburgh tells the congregation about a relative who is undergoing chemotherapy. Another woman reports that her brothers are both shipping out for Iraq. “When we pray for our community, remember that it’s people we come into contact with every day,” Lyon reminds them. Pastor Lyon celebrates a sort of folksy neighborliness. But UPC International is widely known for its aggressive international proselytizing. Do the members of this congregation see a contradiction there? That emphasis on personal development speaks to Lyon’s overall message. Vermonters “have a strong sense of who they are as a community, and I’m not gonna change that,” he says, sitting down after packing up chairs from today’s service. “What I can do,” he suggests, “is introduce them to the one who can challenge the way they think and validate that in terms of what they know is a revealed truth. CLICK HERE TO LISTEN to an excerpt from a Sunday service. Most dues-paying members of the Judeo-Christian tradition agree that the “House of the Lord” is a pretty ambiguous concept — just watch the film Dogma, or listen to singer-songwriter Joan Osborne. In Vermont, perhaps no religious leader stretches the definition of “church” further than Pastor Anna Drinkwine: Her Victory Center Church meets every Sunday at the Holiday Inn in South Burlington. Drinkwine, who grew up in Canada, describes her 22-year-old church as “non-denominational Pentecostal.” At first, she held services in her home, and later switched to a downtown Burlington building. Victory Center moved into this temporary site on Williston Road in April 2006. After that kind of warm-up, another church leader might dive directly into a sermon. Not this one; for the next hour, Drinkwine leads a group rendition of pan-Caribbean Christian sing-alongs, courtesy of a silver boombox and lyrics displayed with an old-school slide projector. By the fifth or sixth tune, what was initially a sheepish flock has morphed into an all-ages gaggle of 23 impassioned genuflectors — think Rusted Root concert meets Jesus Camp. “JEE-sus!” someone in back exclaims. Two women rush to pick up their fallen comrade. Other members of the audience — those who aren’t busy speaking in tongues or grooving to a fuzzy medley of conga drums, electric guitars and syncopated beats — simply gape at the spectacle. Public outreach notwithstanding, it’s hard to pin down the reach of Victory Center Church’s kingdom. Drinkwine herself, for example, refuses to estimate the size of her own congregation. Two representatives from prominent Burlington-area religious organizations hadn’t heard of Victory Center. And a spokesperson from Essex Alliance Church, the largest evangelical congregation statewide, declined to comment. “Yeah, yeah, absolutely,” chimes in Kathleen Morrow, a mother of two who moved here from West Virginia in November. Today marks her first encounter with Victory Center. 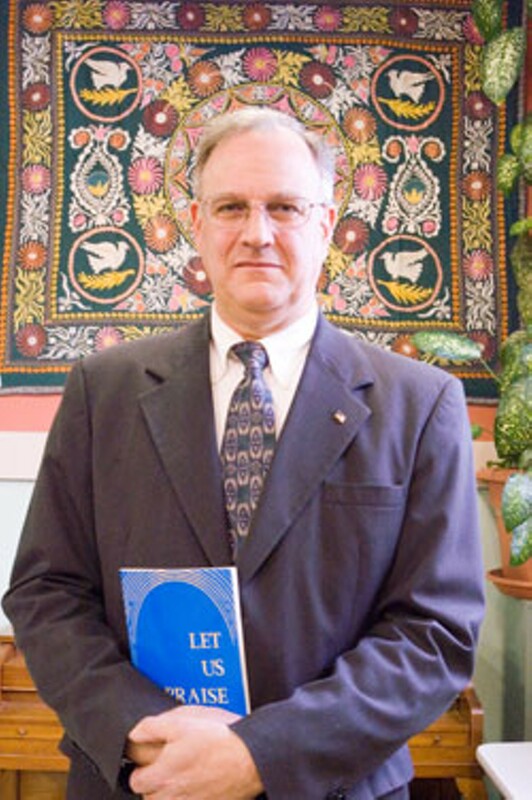 Morrow, who dabbled in new-age and esoteric faiths before settling on messianic Judaism, thinks the gospel has been “watered down” by certain congregations. It’s now 2:30 p.m.: four-and-a-half hours since the start of today’s solemnities. At the diplomatic requests of two consecutive hotel employees, Morrow and Luchini begin to settle the check. Behind them, in the far corner of this near-empty restaurant, a monolithic flat-screen TV broadcasts a football game.